Your patio is an extension of your indoor living space where you can enjoy the commodity you have indoors, but in a more natural environment, relishing the sun, the cool breeze and the sounds of nature. No matter the purpose of this area, use all your creativity and imagination and decorate it. 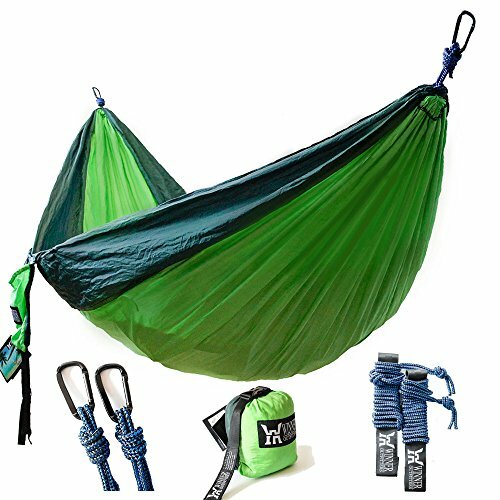 This will bring you great relaxing moments as well as impress your guests. Of course, if you design your patio from a catalog or high-end store, this can add up to a considerable amount of money. Luckily, you don’t have to, as there are tons of inexpensive and easy DIY decorating ideas to help you make your patio as impressive and beautiful, without spending a fortune. A comfortable and inviting outdoor living space starts with a lounge set where you can sip your morning coffee, dine with your family, or enjoy an evening cocktail with friends. A beautifully decorated patio with a dining space in mind, allows you to enjoy a great meal outside your house without having to pack a basket and leave on a picnic. Outdoor furniture can be very expensive, especially if you’re looking to incorporate full sofas-and-chairs sets into your patio design. 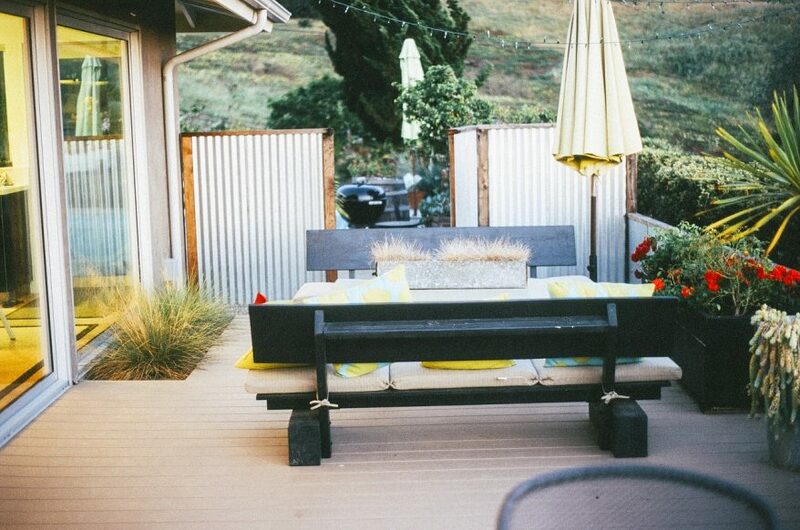 Instead, look around your patio for the coziest or pretties space that you like to spend time in. Then, think creatively how to add new dimension to this area. 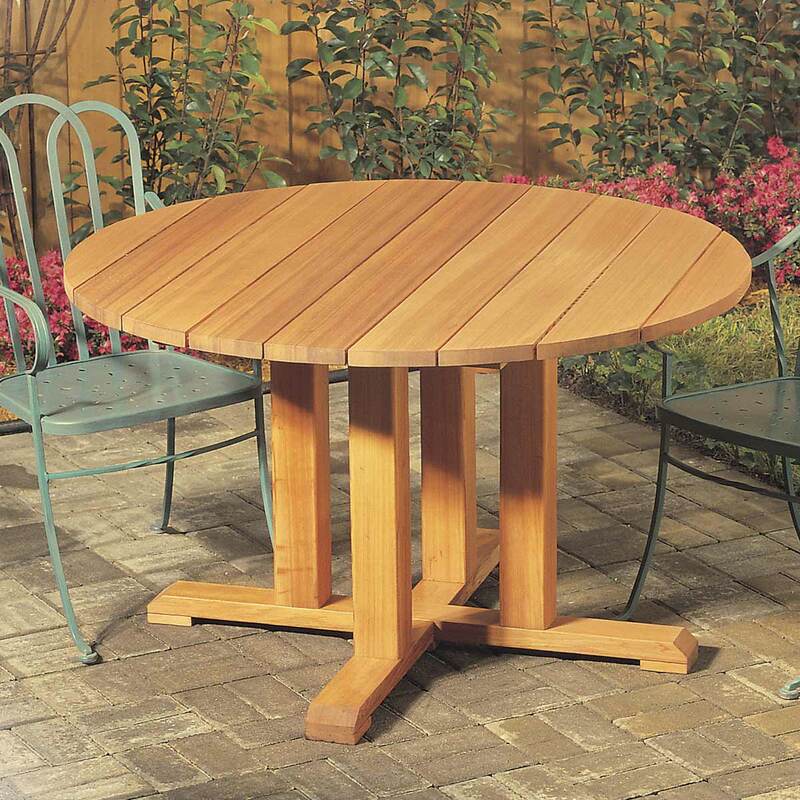 Substitute traditional garden sets with DIY patio benches, simple folding chairs and a low coffee table, or use a small patio table and an umbrella tandem for a more intimate setting. Check out estate sales, consignment and antique stores for cheap patio furniture that you can refurnish, repaint and bring back to life by adding new cushions and pillows. 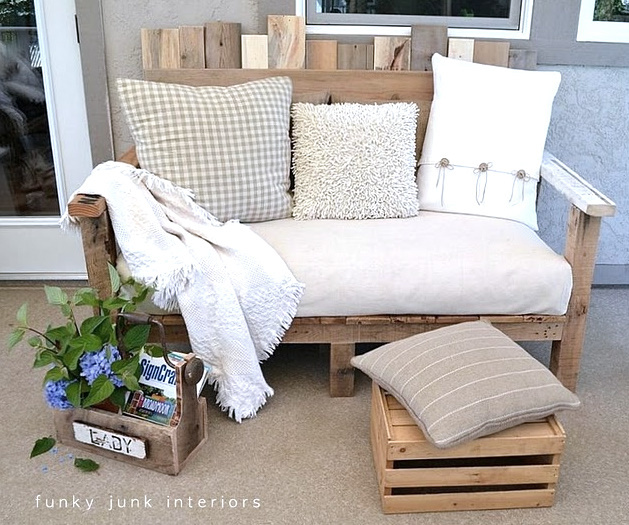 Or even build your own cozy pallet wood sofa. 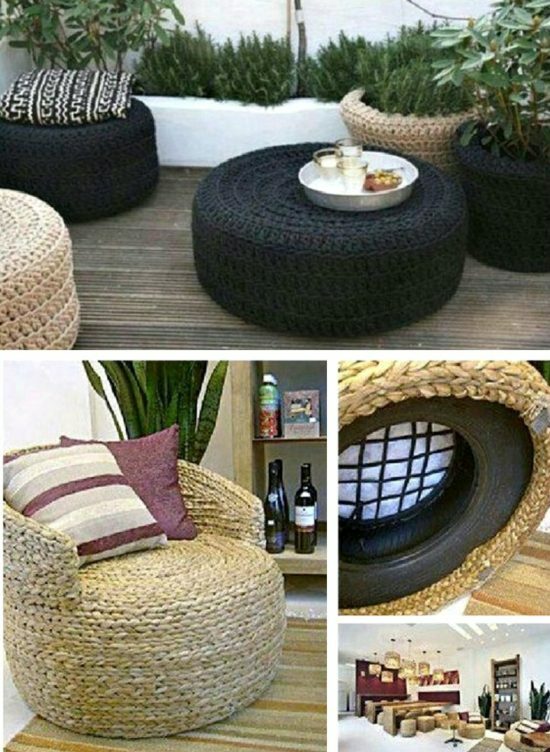 If you have some old tires lying around in your garage, it’s time to repurpose them into beautiful ottomans for your outdoor area. There are many different designs that you can apply. 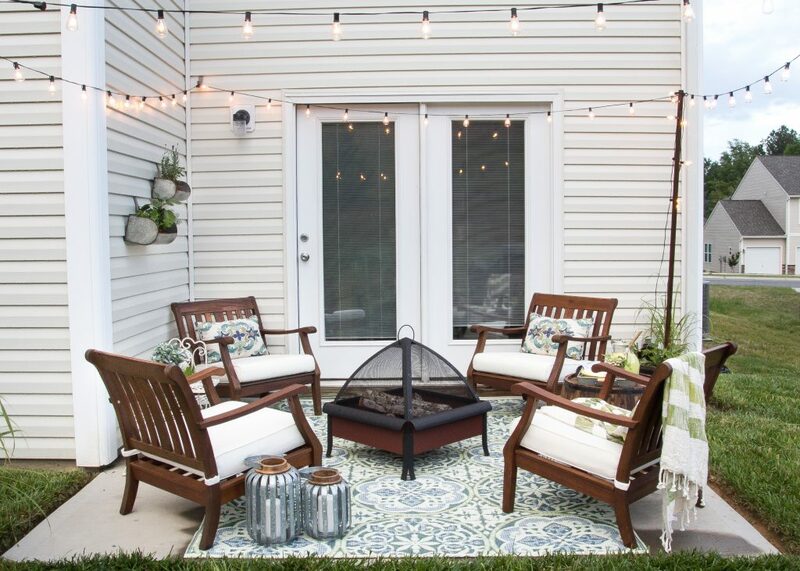 You can use a hard rope for a more rustic style, paint over the rope with some earthy neutral tones, or cover the tire with colorful fabrics to go with the brighter accents of your patio. Don’t be afraid to embrace the colors of nature as well. Try to merge your open-air living room with its green surroundings and let them inspire you on your whole outdoor furniture style. Another great way to freshen up the look of your patio setup is to repaint or completely makeover the flooring. 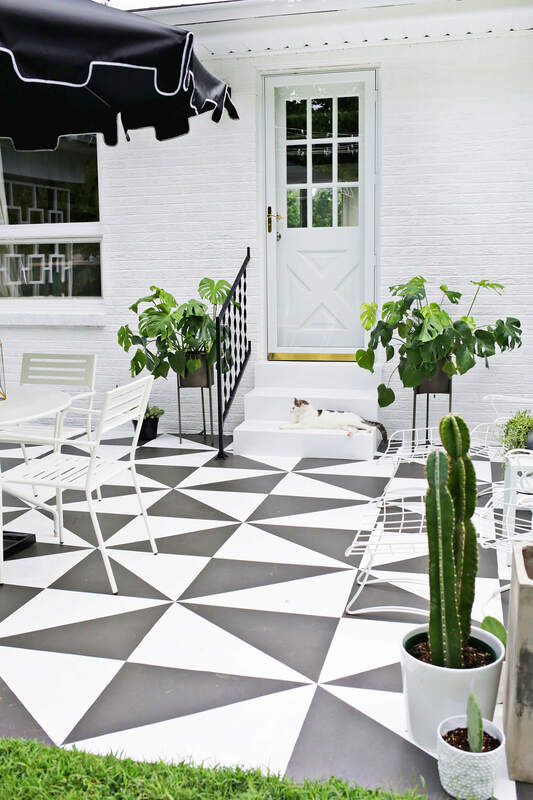 A two-toned black and white floor adds new dimension to the area making a small deck to appear larger and more specious. If you’re up to a slightly bigger DIY project, make sure to check out TGG’s creative flooring ideas for paver patios in different techniques and materials. 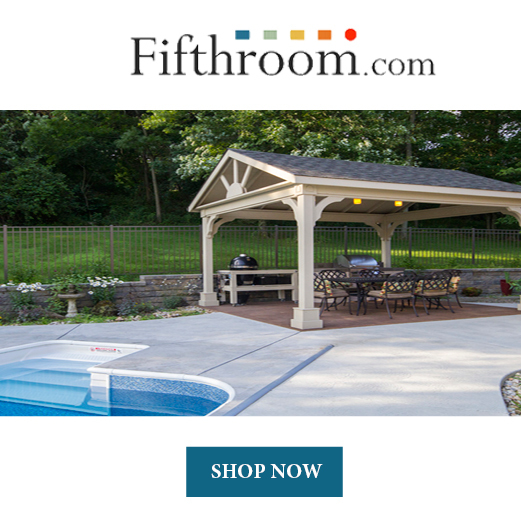 Your patio is the place where you can enjoy nature and still be in the comfort of your home. Thus, plants, flowers and trees should never be left out. In fact, they can even guide your decorating ideas for the rest of this space. 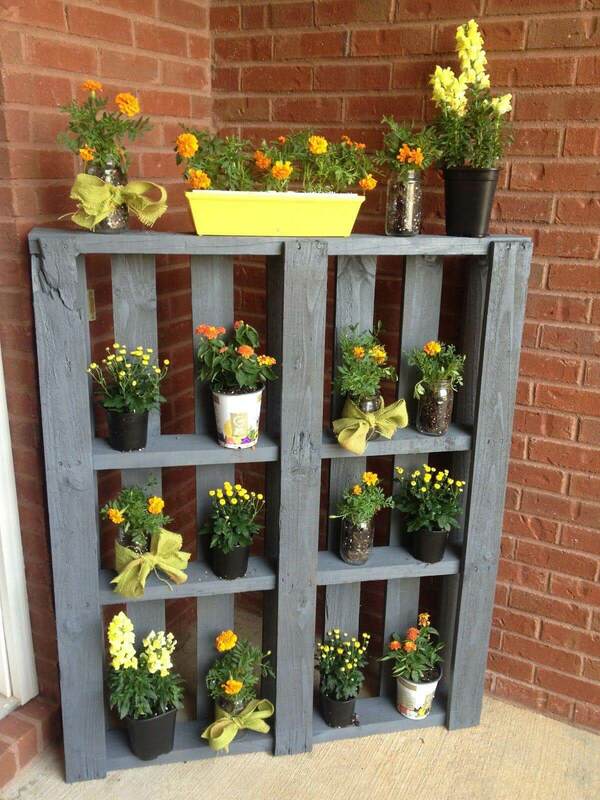 Create a beautiful shelf from a few old pallets and place it on your patio to display your plant or herb garden. 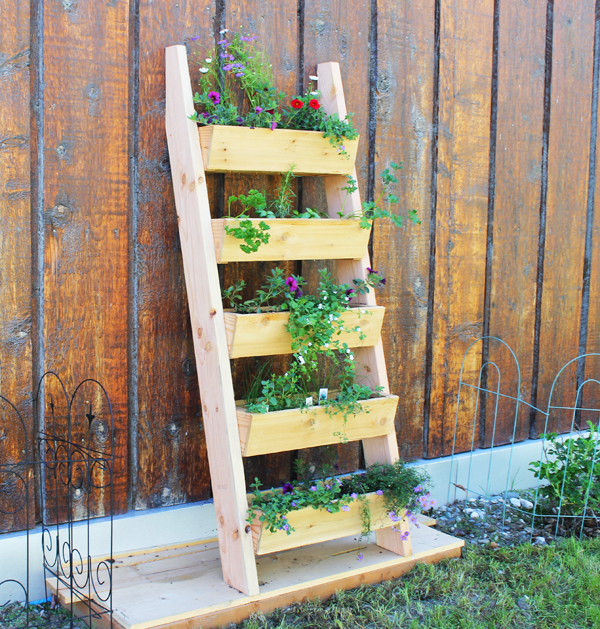 Or build your own vertical ladder garden planter to add even more growing space. You can also plant one species throughout a long bed, creating a more modern look that gives movement to an, otherwise, blank wall. For an even greater appeal add rich dark green, red and silverfish leaves and larger sculptural plants to the ordinary and expected flower beds. 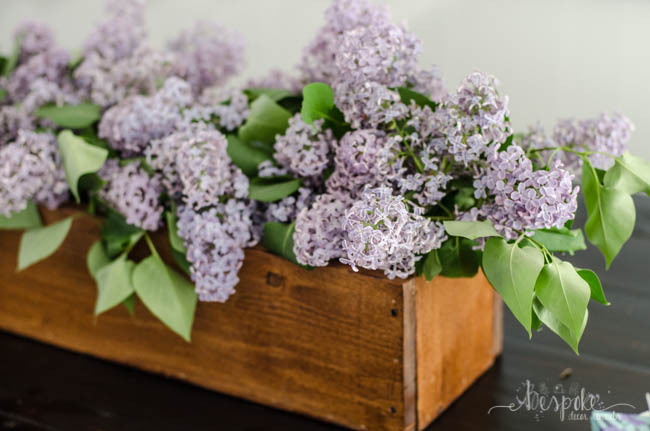 If there’s no planting space and soil around your patio, you can have your plants and flowers in bigger or smaller size pots. Painting the pots in one or different tones brings up more color to your outdoor area making it feel warmer and more visually appealing. 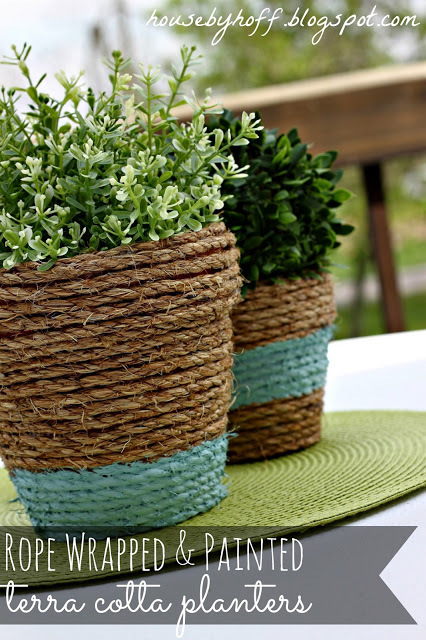 You can also wrap boring brown terracotta planters in ropes and then paint them over. 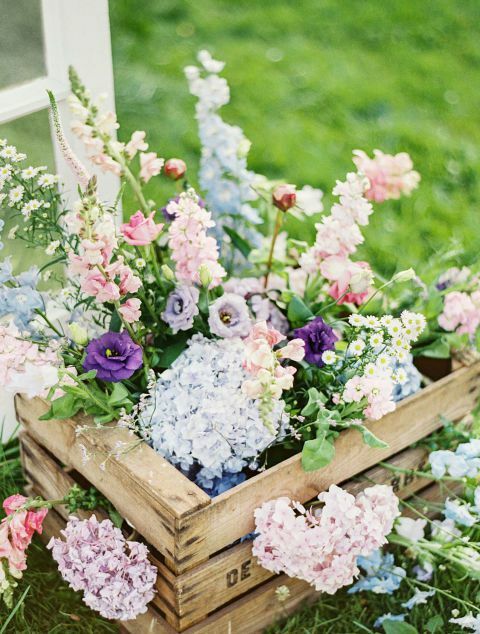 If you can find a bit of space in one of your patio corners, create and display your own blooms-filled rustic pallet crate with a wild arrangement of beautiful pastel flowers from your garden or florist. 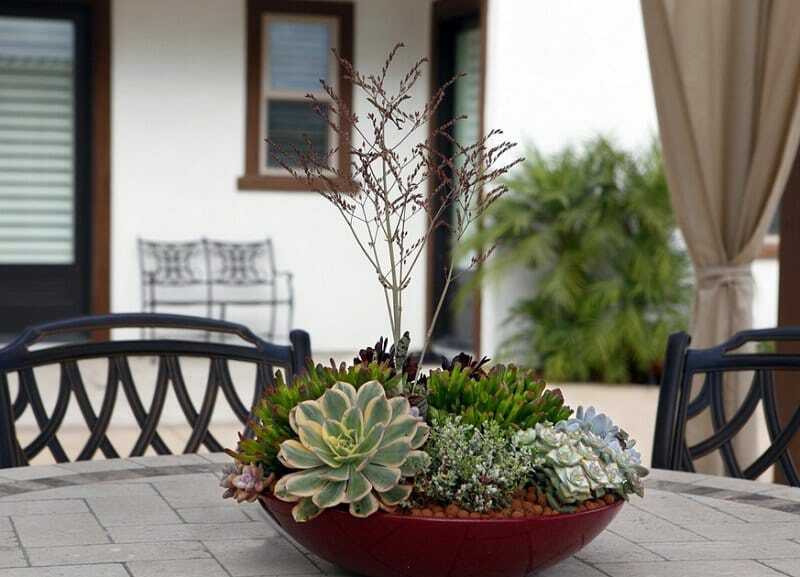 If you love succulents making a small dish garden for your patio table will definitely be your favorite project. You only need some succulents, a larger shallow dish and some soil. 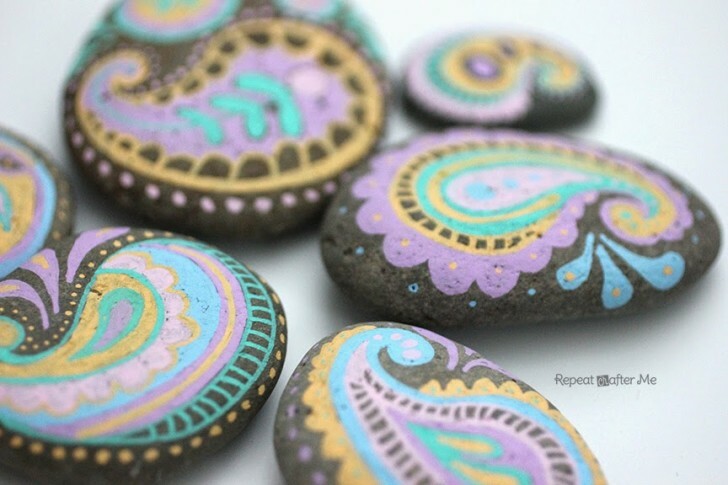 If you want, you can decorate a few rocks too, and add them to your dish garden as well. What makes a Sunday morning coffee complete for me are the sounds of nature, the chirping and singing of our feathered friends. According to Feng Shui, birds symbolize new opportunities, love and commitment, abundance and good luck. The easiest way to invite them to your patio is to provide food, water or shelter. 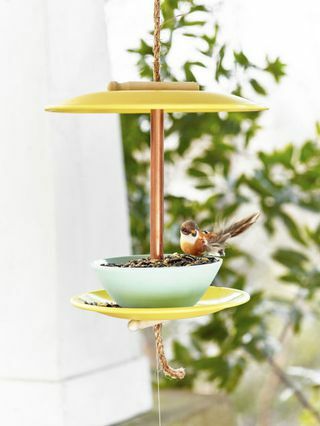 Make this cute little bird feeder out of old dinnerware and hang it someplace more open outside your home. 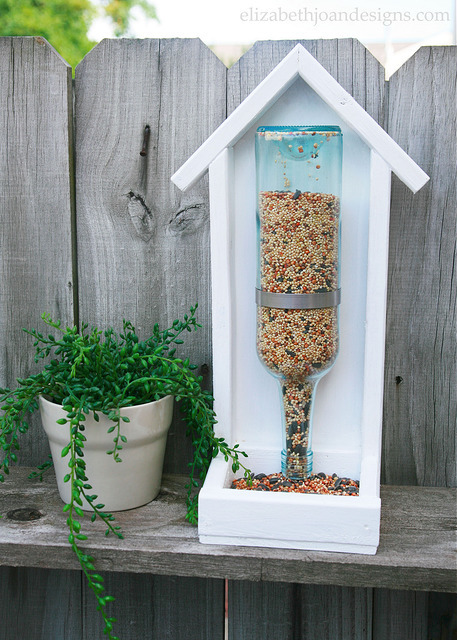 Or keep the next empty wine bottle and get some small furring strips and glue to build a cool mobile bird-house like feeder to attract beautiful birds to your patio and relax to their joyful songs. Discreet lighting will instantly turn your patio into a cozy one. 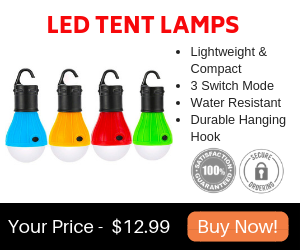 Hang string lights on the ceiling, wall, railing, or build your own structure. 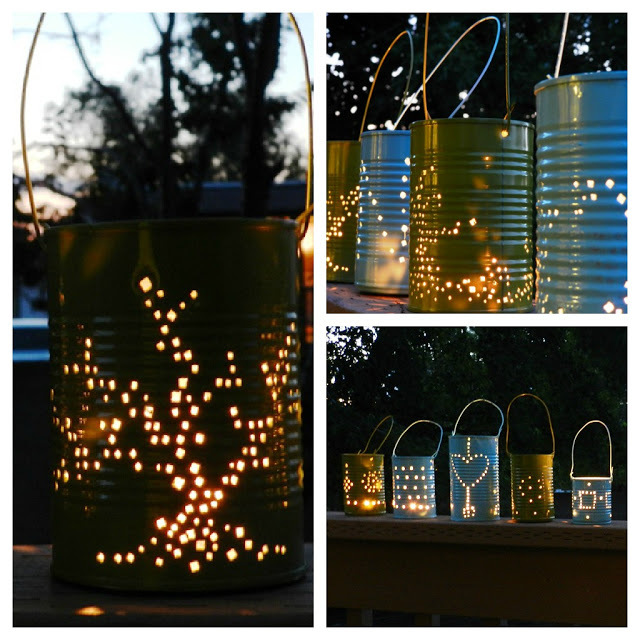 If this isn’t an option, just add few tin can lanterns. It’s going to look beautiful. 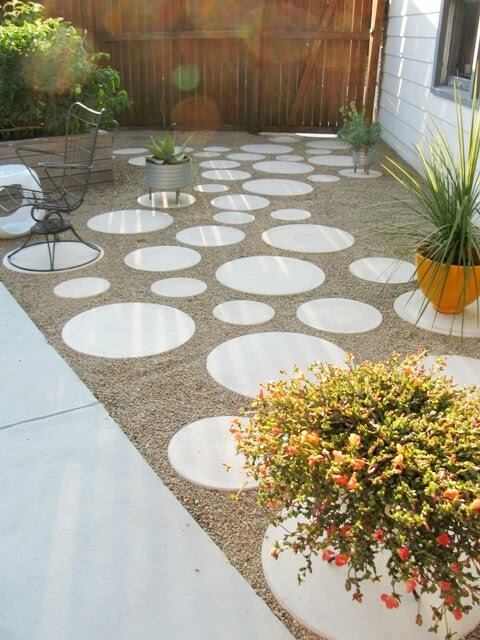 There are so many great ways to design your patio, even on a budget. You just need to open yourself up to new ideas and let your creativity flourish. Dare to think differently and look for creative sparks. 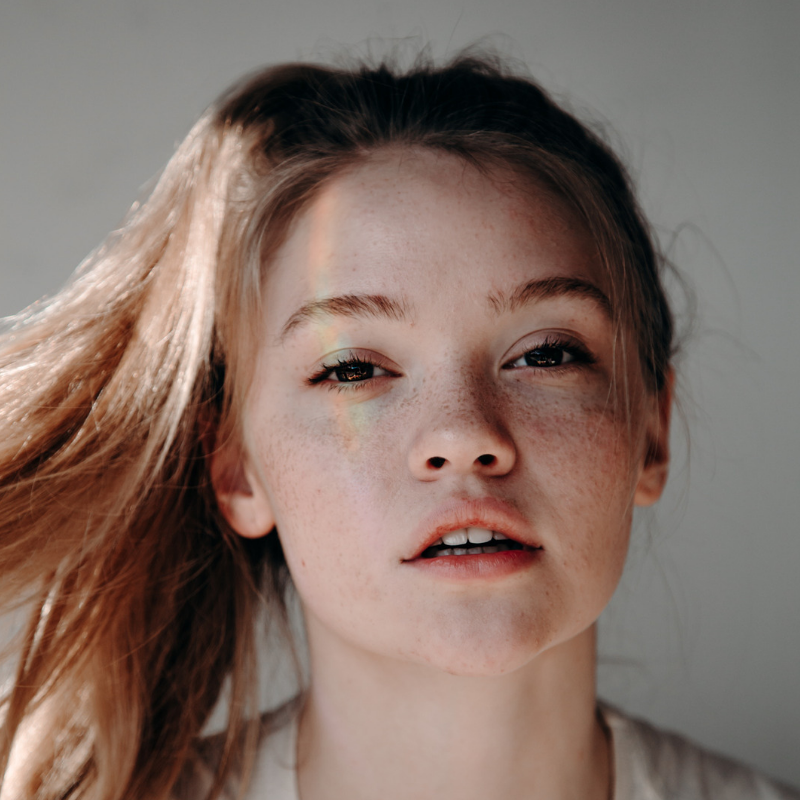 Author Bio: Jennifer Sanders works at https://www.essaygeeks.co.uk/ in London, England. As a good writer and an editor, she is fond of reading some interesting books and improving herself. That's why she also loves traveling and communication with others. Feel free to connect with her Twitter or Facebook.